The highly feared Nazi propaganda minister, Joseph Goebbels was one of the most intelligent and best educated of the Nazi elite. He completed his PhD at the University of Heidelberg, writing his thesis on 19th century Romantic drama. Goebbels was both anti-Communist, recognizing the fundamental fallacies of Marx’s theories, and anti-Capitalist, which he viewed as being Jewish at the core. Goebbels learned of the early Nazi party soon after leaving University, and became a Party Member within the year. He quickly rose in the Party, and used his propaganda skills to recruit the proletariat core of the hated Communist party into the Nazi fold. 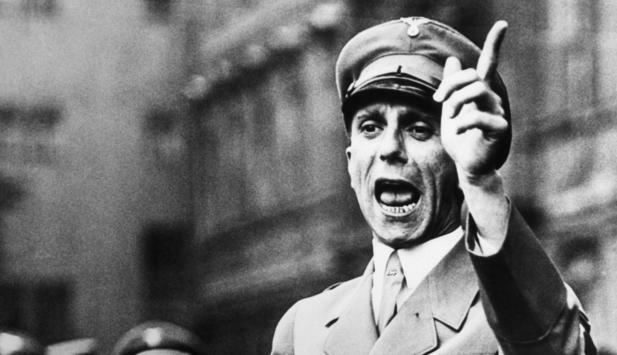 When the Nazi’s seized power in 1933, Goebbels was appointed Minister of Public Enlightenment and Propaganda. One of his first acts as Minister was to supervise the infamous book burnings. The Propaganda Ministry held ruthless control over media and the arts, and did everything it could to put done anything that did not ring of “Aryan Purity”. Restricting entartete musik, or Degenerate Music received special effort. Degenerate Music referred to Jazz. There were many reasons for the Nazi’s to dislike Jazz. It represented the freedom of American ideals, and it came from what the Nazi’s saw as the lowest manifestation of America, the rising status of the African-American community. The syncopated beats of Jazz were contrary to the steady rhythms of German music. It was also the preferred music of the Berlin Cabaret scene, a hotbed of anti-Nazi sentiment. These factors make it amusing to consider that Goebbels would turn to Jazz Music as a weapon of war. The idea was to turn the Degenerate Music, which was so unsuitable for decent Germans, against the Enemy who had created it. 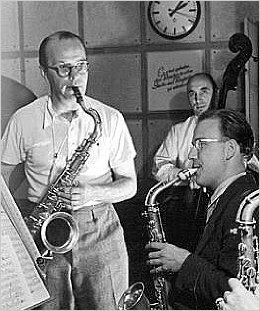 To wield this weapon, Goebbels chose promising tenor saxophonist Lutz “Stumpie” Templin. Although Templin was not a party member, he was far from reluctant to take advantage of the opportunities presented by the Nazi rise. The group that would eventually become the Lutz Templin Orchestra broke ties with its Jewish bandleader in 1935 to secure a recording contract with Deustche Grammophon. The full genesis of the notion to beam Jazz Music to British and American Troops with a Nazi Message is lost to history. It appears that British turncoats William Joyce, the infamous Lord Haw Haw, and the traitorous Norman Baille-Stewart had a hand in feeding ideas for lyrics to Karl Schwedler, the former public servant hired to be the frontman for Templin’s band. 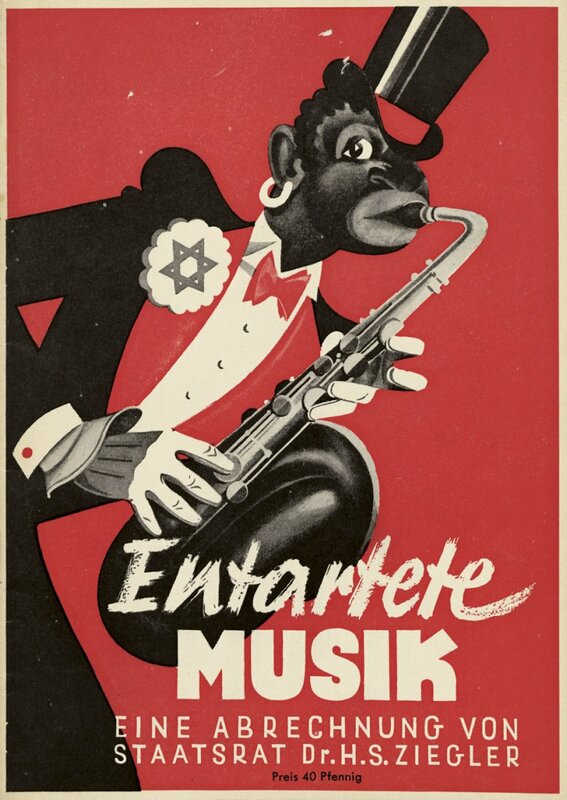 Schwedler, who took the name Charlie for the propaganda project, wrote English lyrics for Templin’s Jazz numbers which promoted the Nazi message. Mostly, this was the same message pushed by Tokyo Rose and Axis Sally- that the Allied Troops faced an impossible task, their leaders were willing to sacrifice the lives of their troops and that their girlfriends were running around on them while they were risking their lives. By all accounts, the message was seldom taken seriously, especially in the later stages of the War. However, consider the blow to the morale of a Mother living on the East Coast of America, whose son may have been serving on a freighter carrying War Supplies to Britain, when a happy, Jazzy song comes over the radio, and the second verse happily sings about “Cherman Zubmarines”. Winston Churchill, who was lampooned in many of the numbers, was an enthusiastic fan of Charlie and his Orchestra and laughed heartily at the songs. Experience the History of WWII, both on the Homefront and the Front Lines, the way that many of our Grandparent did- through the messages, shows, and information that came to them through their radio speakers. Find out about propaganda from both sides, and hear genuine reports of the Conflict’s progress in our WWII Collection. Visit OTRCat.com today! This entry was posted in Old Time Radio and tagged charlie and his orchestra, nazi music, wwii recordings. Bookmark the permalink.